Announcing the 2018 - 2019 Rutgers Oncology Olympiad! Click here for a list of resources for this year's qualifying event! 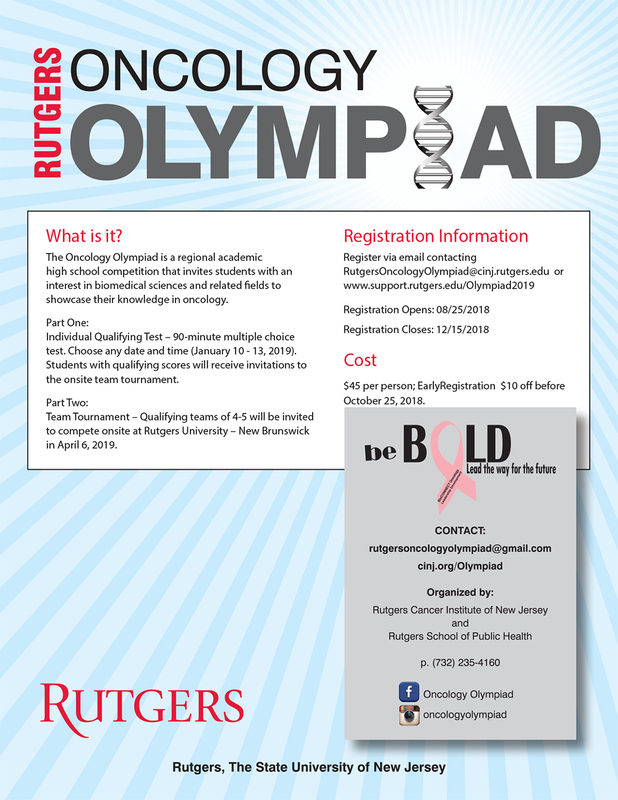 Questions about the Rutgers Oncology Olympiad? Email RutgersOncologyOlympiad@cinj.rutgers.edu or call 732-235-4160.